During my years of long distance running, I learnt a valuable lesson which can be applied to everyday life. Contrary to common belief that we will gain an abundance of energy by improving our physical fitness – I discovered the reverse is true. When our body gains the ability to produce an abundance of energy, we will then have the potential to become physically fit. Performing well as a long distance runner, relied fully on my body’s ability, to produce sufficient energy at all times. This energy producing ability within the body is our Metabolism. Even though I made the discovery through fitness exploration, I have since realized that consistent high energy output is no where more important than in everyday life. The ability to remain mentally focused throughout any given day, is directly connected to your Metabolic Performance. A high energy state, created by an effective metabolism can only enhance your ability to perform well in everyday life as a parent, in a relationship or at your chosen vocation. The key to consistent Metabolic Performance and thereby high energy output, is in my experience to consume a diet high in fat while limiting intake of carbohydrates and sugar. Eating a diet which contains eggs, coconut oil and other foods with high fat content, is particular effective for brain function, which thrives by running on fat for fuel. 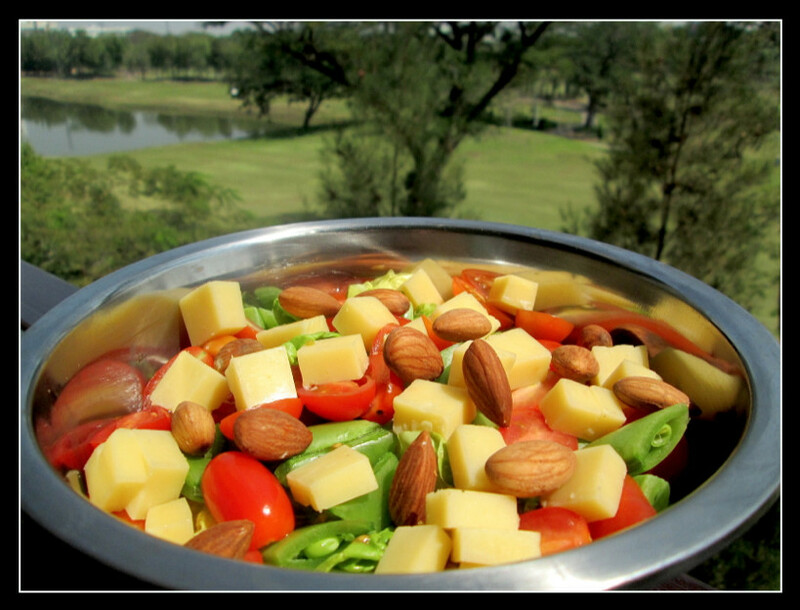 This way of eating also gives you the practical advantage to skip a meal, without getting hungry or your energy fading. By allowing your body to develop an effective fat metabolism, you may also gain the natural ability to burn off excess body fat. Now a days, I do minimal amounts of running, but my lean body composition is maintained through this diet strategy. The pictures here are from an experiment I did to reduce my body fat in a short amount of time. 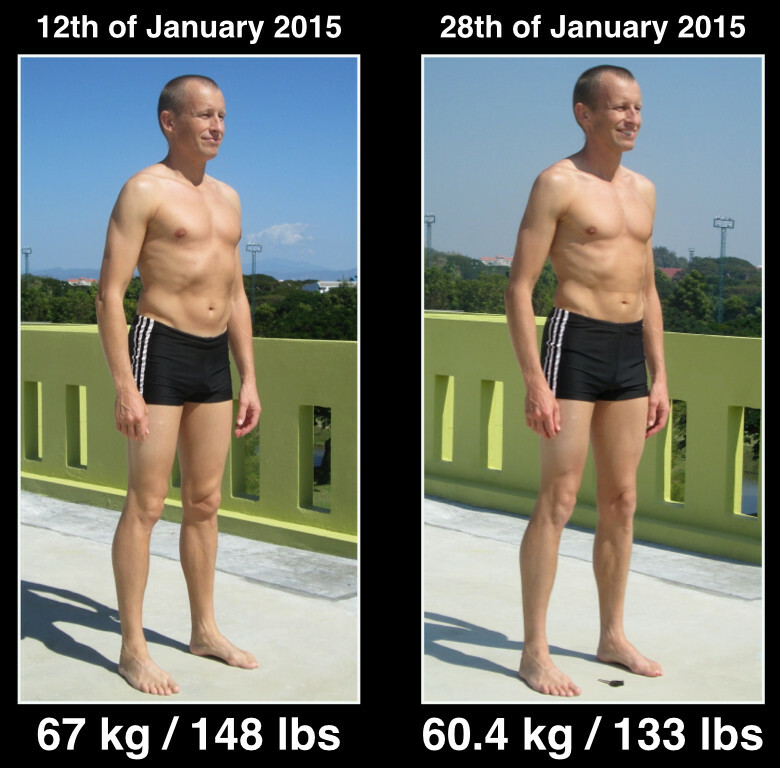 Read a detailed account of my experiment in Fasting, Ketosis and Fat Loss. Is there any way to buy ketone test strips for precision xtra from an Austeralian supplier to be sent to US? Way to expensive here for a retired person. Plus your U-tube presentations are very helpful. When I was living in Thailand in 2014-2015 I bought the ketone strips from an Australien supplier through Ebay, there was some import tax – but not much, don’t know what import duty is applies in the US. Presently, the cost here in Australia is 8-10 AUD, for a box of ten strips. Thanks for your support.